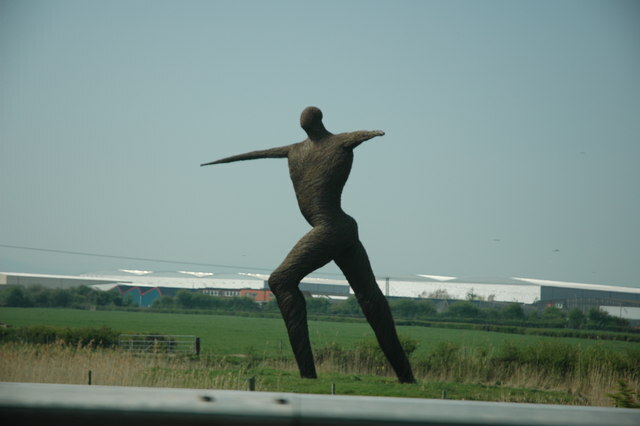 Willow Man is a large outdoor sculpture by Serena de la Hey, situated in a field by the M5 motorway near Bridgwater in Somerset, south west England. It stands 40 feet (12 m), made of willow withies on a steel frame. Willow Man was commissioned by South West Arts, for the Year of the Artist 2000, and was unveiled in September 2000. It marks the millennium and celebrates the role of willow in the ecology and craft tradition of the Somerset Levels.